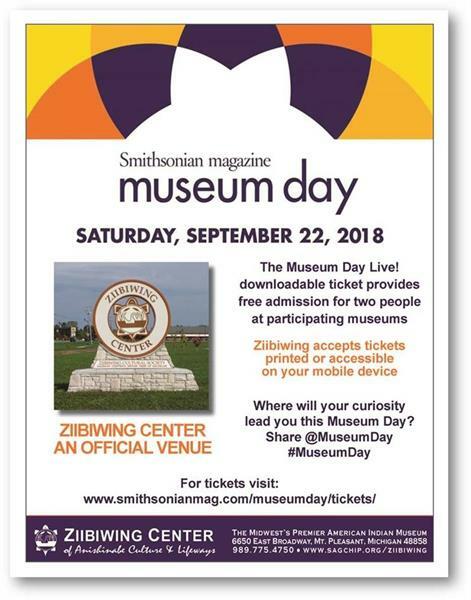 The Museum Day Live! downloadable ticket provides free admission for two people at participating museums. Ziibiwing accepts tickets printed or accessible on your mobile device.